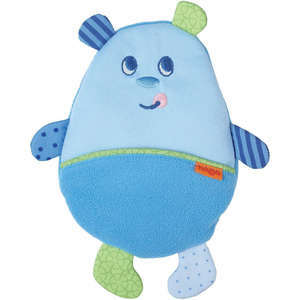 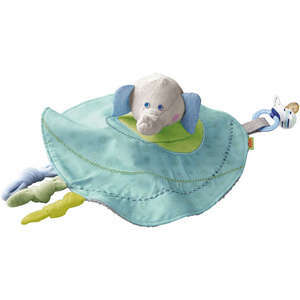 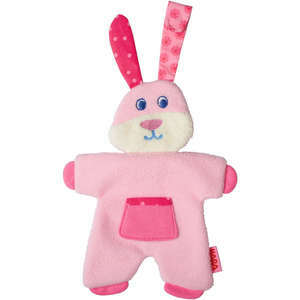 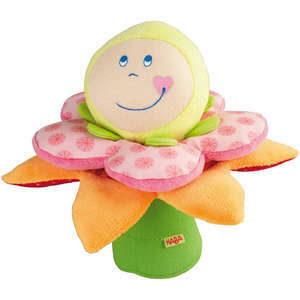 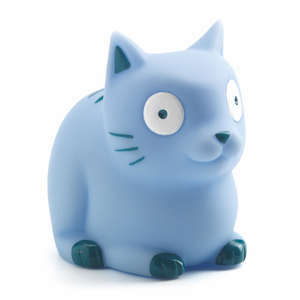 Madame is an adorable rattle and first baby toy. 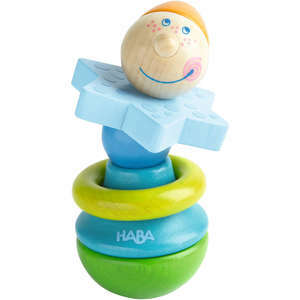 This pretty little lady can be twisted, pulled, balanced and rattled. 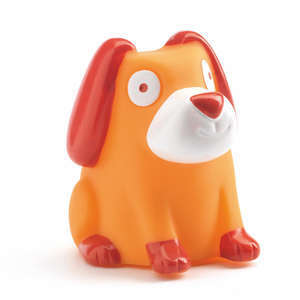 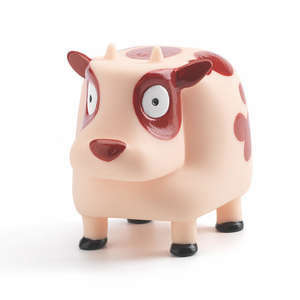 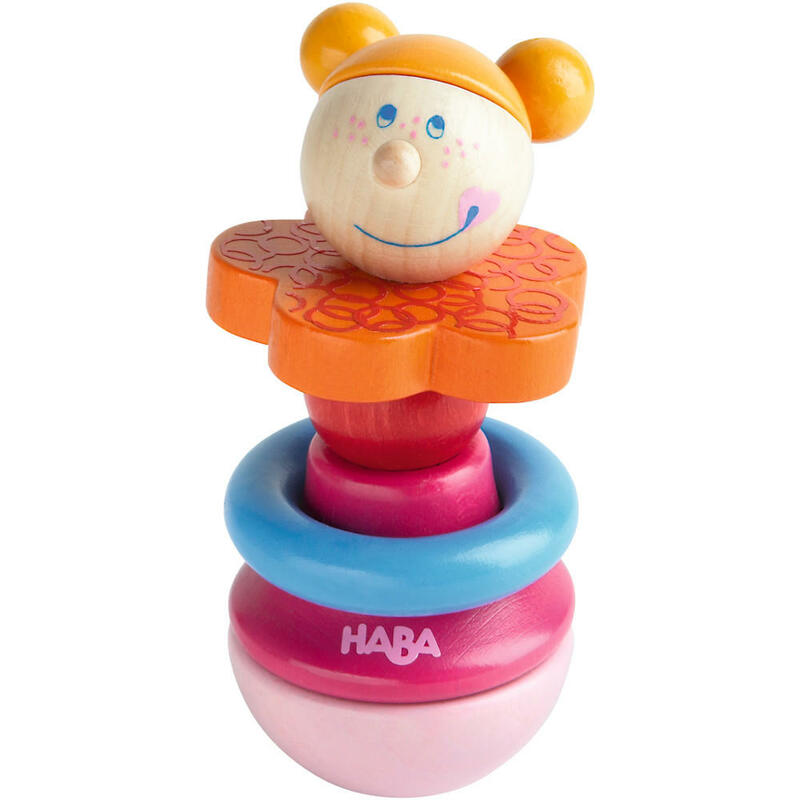 The colourful wooden pieces are held together by a strong elastic cord and a loose ring rattles when you shake her about. 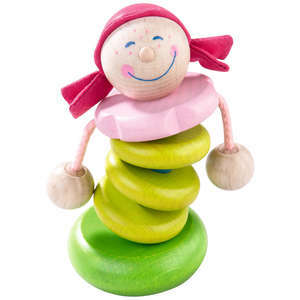 Madame has many parts that can be twisted and turned and her upper body has a flexible feel to it thanks to the stretchy cord. 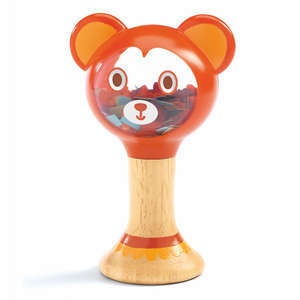 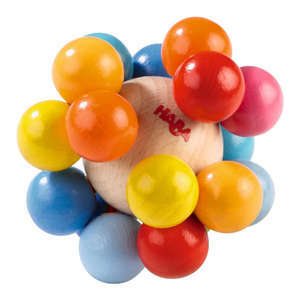 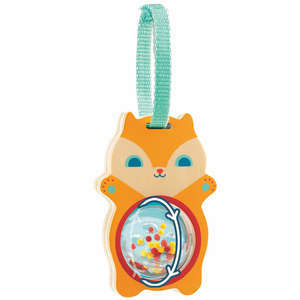 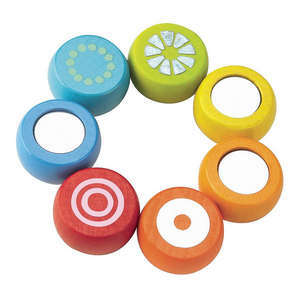 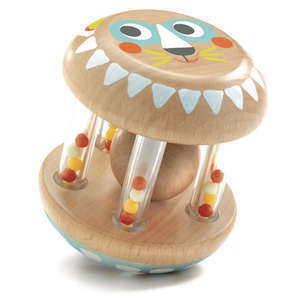 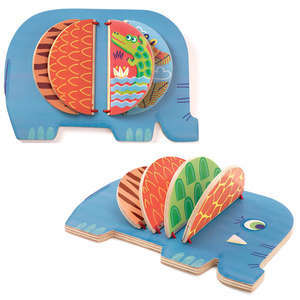 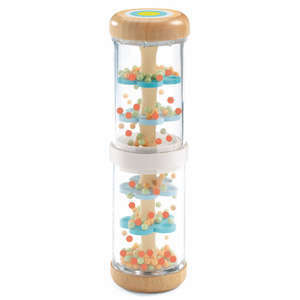 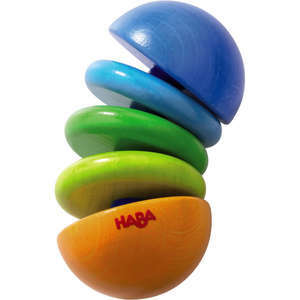 When babies shake the rattle the wooden ring makes a great click clack sound.